Camp overnight in tents pitched in the gorgeous Himalayan wilderness and embark on an action-packed day of bungee jumping in Nepal. You'll wait on the bridge with bated breath and when the time comes, you'll step into the safety harness as an expert adventure guide tells you all that you need to know before jumping. When you're ready, you'll spread your arms sideways and take the jump of a lifetime, plunging into a free fall of over 500 feet over the Koshi River. The campsite for your overnight adventure of bungee jumping in Nepal is located near the deep gorges of Listikot. Despite being easily accessible via a 3-hr drive from Kathmandu, the campsite is located amidst dense and remote wilderness, along the Koshi River. The bridge for the bungee jump is located over 500 feet above the Koshi River gorge, surrounded by alpine forests of pine and oak. From the top of the bridge, right before you plunge into a hair-raising adventure, you can catch calming views of mountains as far as the eye can see. 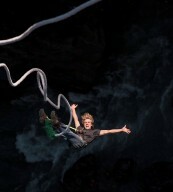 Day 1 of bungee jumping in Nepal: Check-in and enjoy! After your activity, you can spend some exploring the gorgeous landscape by the Koshi River. At an additional cost, you can also book other adventure activities like rafting or canyoning. Overnight in tents at the Listikot campsite. Report at the tour operator's office in Thamel, Kathmandu by 05:45 or 07:45 hrs. You will travel to the campsite by bus and participate in either bungee jumping. You'll be accommodated in safari tents on twin/quad-sharing basis. The tents come with comfortable bedding, locker facility and luggage rack. The campsite is equipped with common kitchen/dining tent and washroom/shower tent. Today's meal package includes a buffet lunch and dinner.